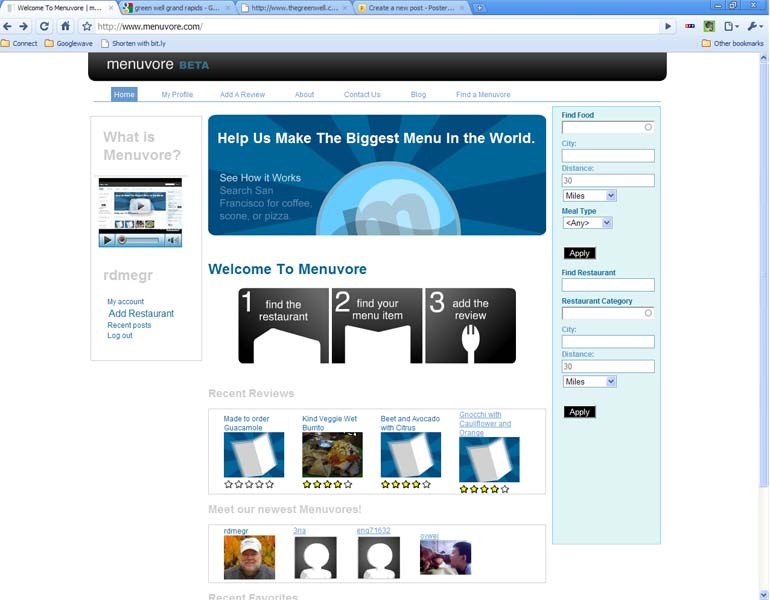 My nephews Nic and Chapin have launched a new website, www.menuvore.com. Their aim is to build the biggest menu in the world. They invite people to post reviews, not of restaurants, but of individual dishes. I admit that when they first explained it to me, it didn’t make much sense at all. But after using the site this weekend and posting some of my favorite foods from my hometown, I understand the genius of their idea. When I am traveling on business or pleasure, finding a restaurant is a bit of a chore. While there are lots of restaurant reviews out there, those reviews often don’t do a good job telling me what is good on the menu. Menuvore aims to do that. Who has the best pork buns in New York City (quick, somebody write a review of the pork buns at the Momofuku Noodle Bar. They are awesome.) As people around the world share their favorite dishes, I think this site will become a traveler’s essential companion.